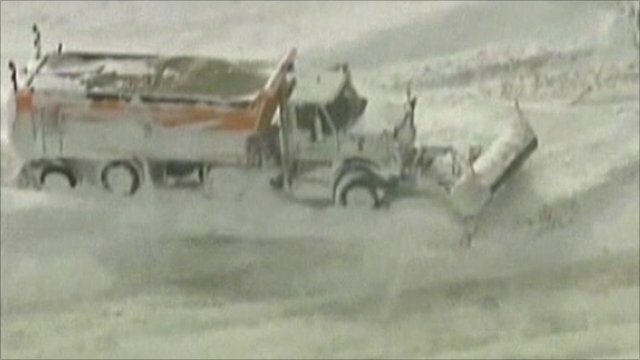 Europe struggles in grip of snow Jump to media player Falling temperatures and heavy snowfalls across Eastern Europe leave at least 36 people dead and major power and transport problems. 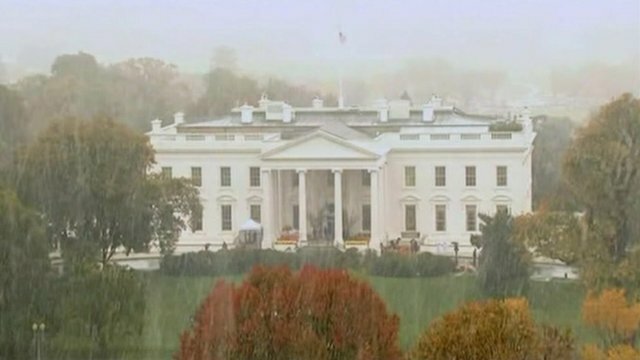 'All hell has broken loose' Jump to media player "All hell has broken loose" in some parts of the US that have been hit by an unseasonable snowstorm, according to a presenter on WABC Radio. 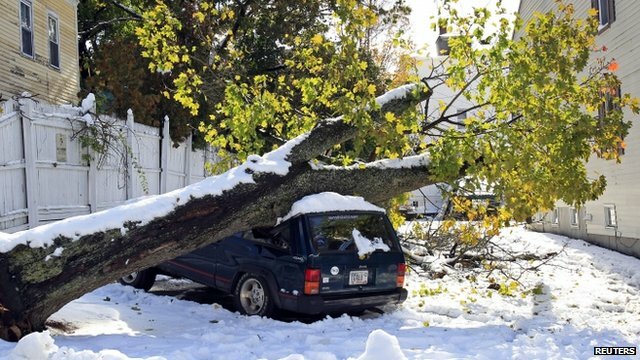 'Shocktober': Snow hits US East Coast Jump to media player More than three million homes on America's east coast are without power after electricity supplies were knocked out by an unseasonably early snow storm. 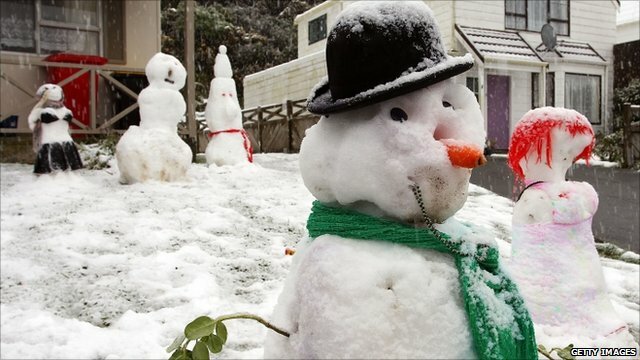 Severe snow storm causes chaos in NZ Jump to media player New Zealand has been hit with what forecasters are calling a 'once-in-a-lifetime' winter storm, which has brought much of the country to a standstill. 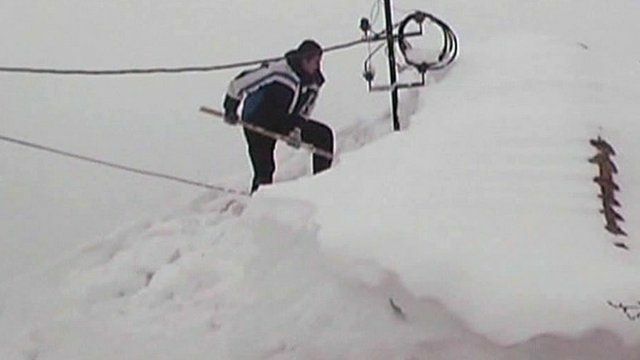 A state of emergency has been declared in the south of Serbia - where deep drifts have blocked roads and cut off electricity supplies. Temperatures have dropped as low as -37C in some areas.